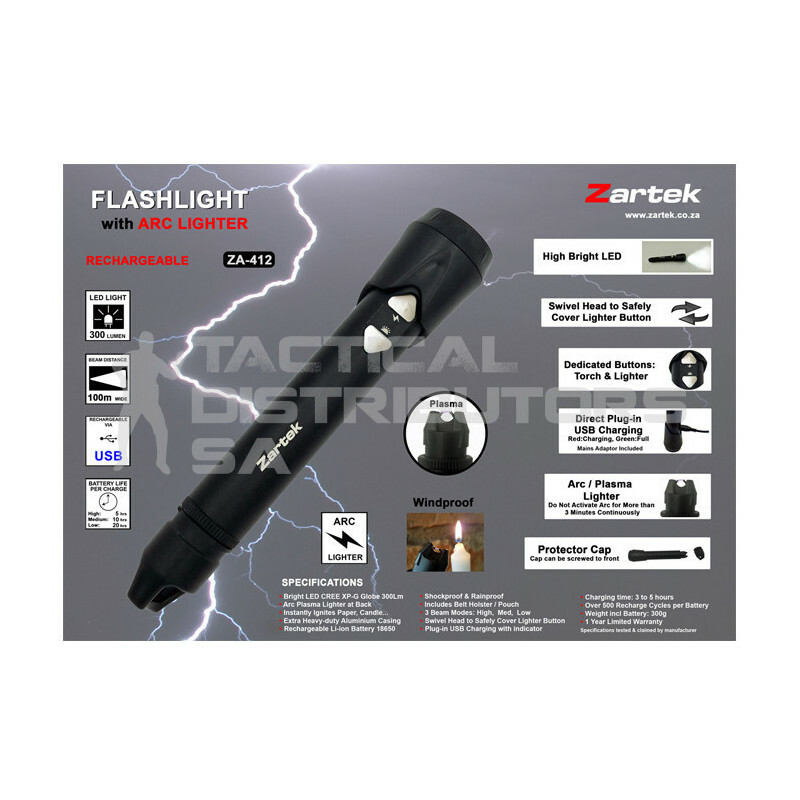 Description Zartek ZA-412 300 Lumen Rechargeable Torch / Arc-Lighter is also windproof that has a protector cap that can be screwed on. Features 3 Beam Modes, Plug in USB Port For Charging, Extra heavy Duty Aluminium Casing. Warning Please note do not activate Arc for more than 3 minutes continuously.